My cousin's wife is having a baby boy due next month. 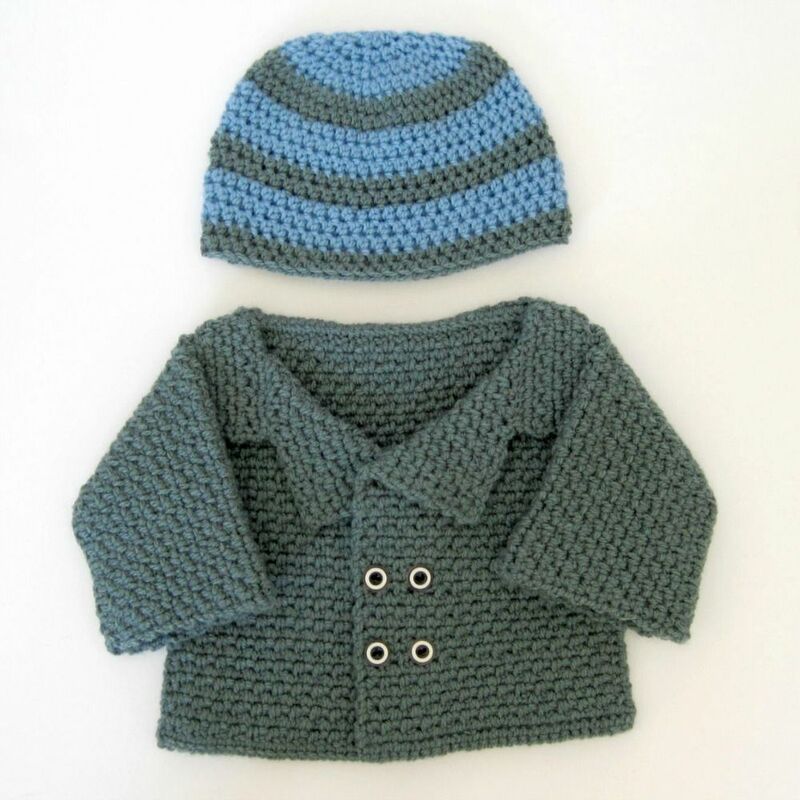 For the baby shower, I wanted to make something warm that the baby could wear in the winter. 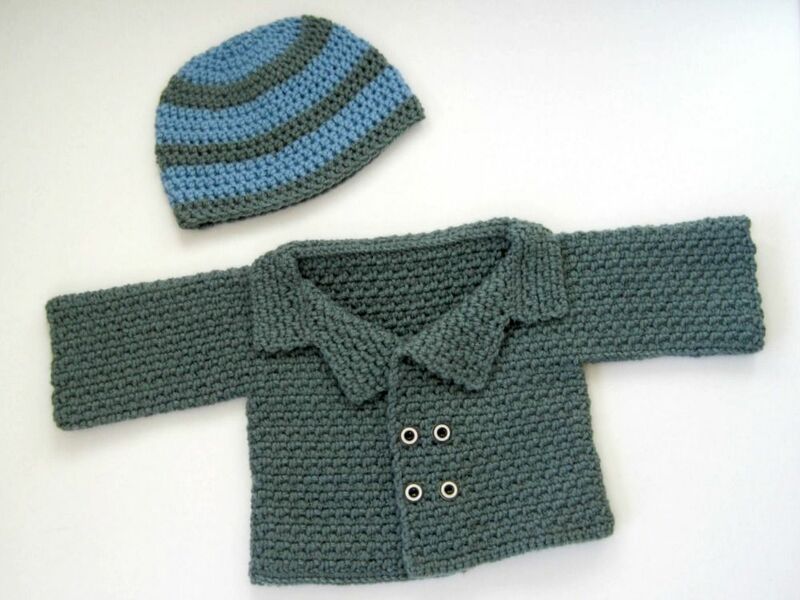 The internet seems full of crochet patterns to make for baby girls, but lacks a lot of good pattern for boys. So I was very happy when I found a pattern for this adorable little peacoat. You can find the Peacoat pattern here and my review here. It was pretty easy to crochet once I figured out the pattern repeat and how it was all coming together. I love how cute it turned out and I hope it looks just as cute on. I also decided to make a matching hat. Now, the internet doesn't seem to agree on what constitutes a newborn size hat. 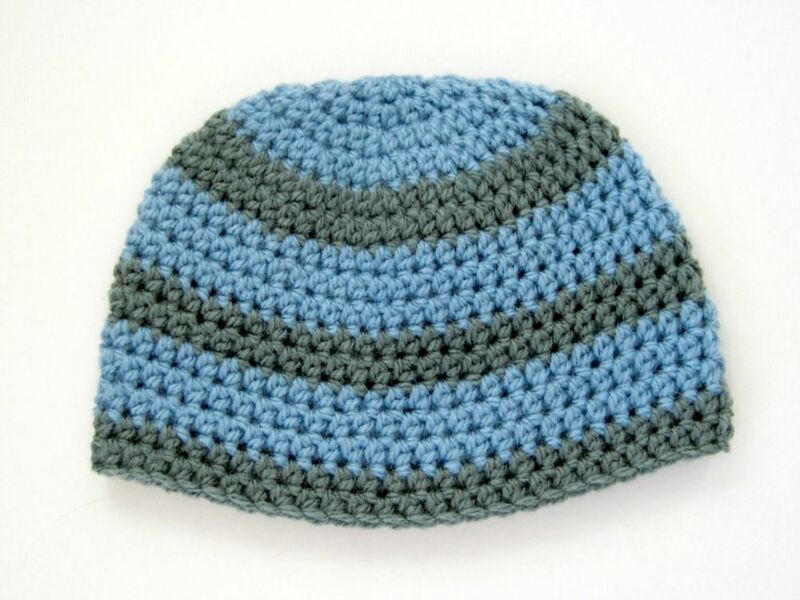 I found different charts putting a newborn crochet hat at a circumference between 11.5"-14" and a height between 4"-6". That's a big difference when we're taking about a little head. So I made my own pattern hoping to fall somewhere in the middle of these measurements. Obviously, if the baby is already born, it would be easy enough to measure the head yourself. I'm just guessing here and hoping the baby will fit the hat before winter is over. This is my very first written crochet pattern. 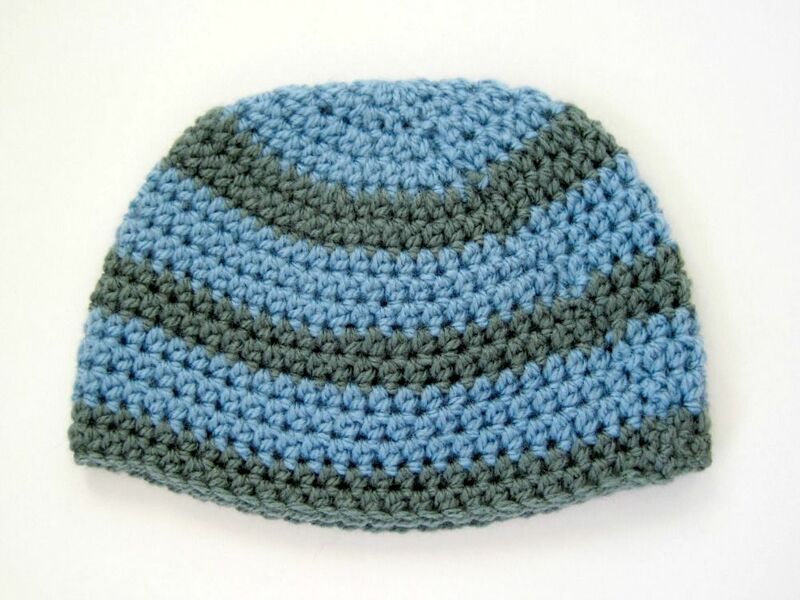 It's a simple hat done in half double crochet and should be suitable for beginners. Let me know if you have any questions or if something is unclear. If you make this pattern, I'd love to see your finished work! This pattern makes a hat that is about 13" around and 4.75" high. Starting row: With color A: Ch 2 and 10 hdc in magic circle or ch3, join with a slip stitch to first chain, ch 2 and 10 hdc in the circle. Slip stitch to top of chain 2. Row 1: Ch 2 (counts as hdc in this row and each row after), 1 hdc in same stitch, 2 hdc in next stitch and each stitch until the end of the row. 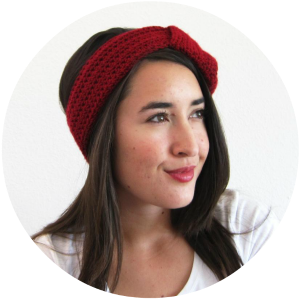 Join with slip stitch to the top of the ch 2. (22 stitches). Row 2: Ch 2, 2 hdc in next stitch, *hdc in next, 2 hdc in next** Repeat from * to ** to the end of the row. Join with slip stitch to the top of the ch 2. (33 stitches). Row 3: Ch 2, hdc in next stitch, 2 hdc in next stitch, *hdc in next 2 stitches, 2 hdc in next stitch** Repeat from * to ** to the end of the row. Join with slip stitch to the top of the ch 2. Finish off. (44 stitches). Row 8: Repeat row 7. Finish off. Row 11-13: Repeat rows 6-8. Row 14-15: Repeat rows 9 and 10. Weave in ends. I use the tails to sew together the seams in the rows to close the gaps and make the seam less noticeable. You can hardly see the seam after sewing together the gaps. UPDATE: It's not just for boys! 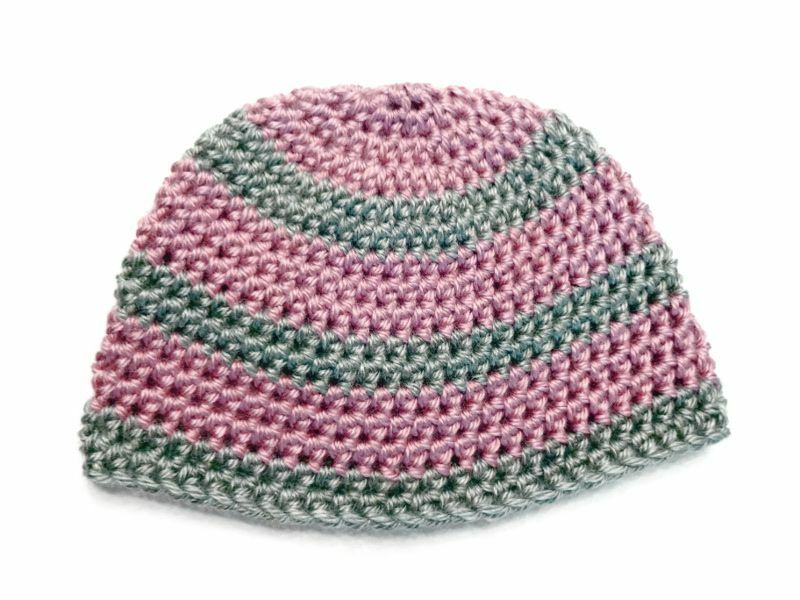 Read about my Striped Baby Girl Hat.